We design and build the equipment, get it up and running, and can provide lifelong service for our systems. Proper start-up and commissioning of air pollution control equipment are critical components of long-term performance and reliability of the system. 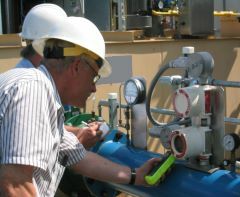 Improper installation and/or commissioning are main sources of premature failures. 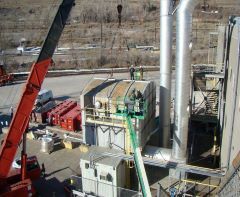 To ensure proper installation, every air control system Pollution Systems builds has a dedicated project manager to lead the design and fabrication and provide support for the overall mechanical and electrical installation. Our project manager can also help assist with the installation if you so choose. Buying equipment from Pollution Systems is only the beginning, not the end. We design and build the systems and provide service support throughout the life of the equipment. With our engineering service, customers can be assured that their equipment has been properly installed and meets the design standards for efficient operation. The number of people having any level of air control equipment proficiency can vary considerably as many companies have reduced support staff to focus on their core business. When it comes to complying with new air requirements or which type of air control equipment is needed to keep pace with increased production capacity, it's best to go to the experts for answers. Pollution Systems only focuses on helping businesses/operations reduce the harmful effects of pollutants, and we possess an in-depth knowledge of the industry and equipment that would not be readily available in most industrial facilities. Let Pollution Systems assess your unique situation to develop the best solution to meet your needs. We have the expertise to quickly implement any agreed-upon course of action. Through our dedicated Services Group, PolSys Services, we are able to provide total service solutions for your air pollution control equipment. We offer a full suite of maintenance and repair services for any needs you may have on our equipment as well as any equipment provided by another manufacturer. Contact PolSys Services at 713-999-1100 or at www.polsys.com for technical service inquiries and more information on this company division.